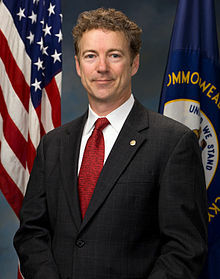 Rand Paul is the best-performing Republican against Hillary Clinton in a head-to-head matchup in Wisconsin, according to a poll released yesterday from Marquette University . This goes against the conventional wisdom that argues Wisconsin Governor Scott Walker, who has won three statewide elections in five years, would do the best. This entry was posted in 2016 Presidential Race and tagged Scott Walker, Wisconsin.